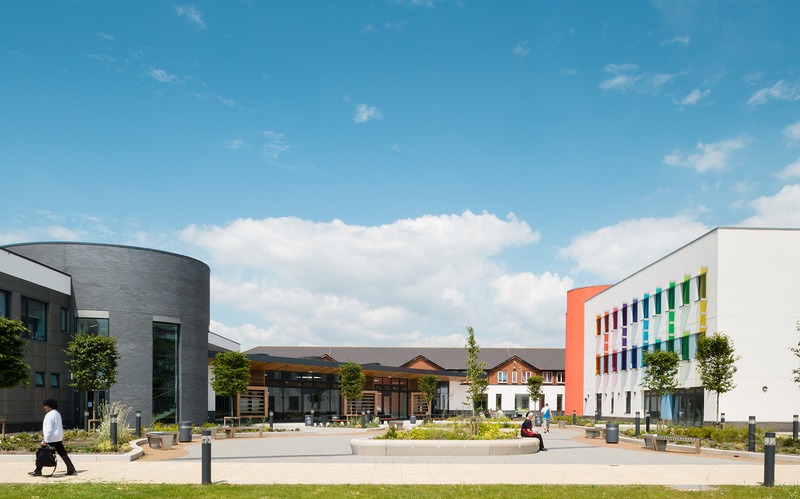 The second phase of the college Masterplan prepared by ECE. 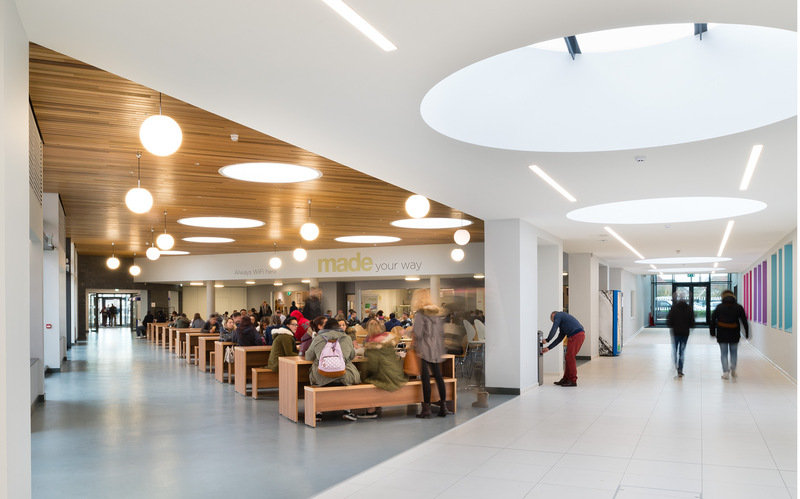 ECE added value by developing a design that included a new landscaped courtyard, creating a central ‘heart’ to the college campus. 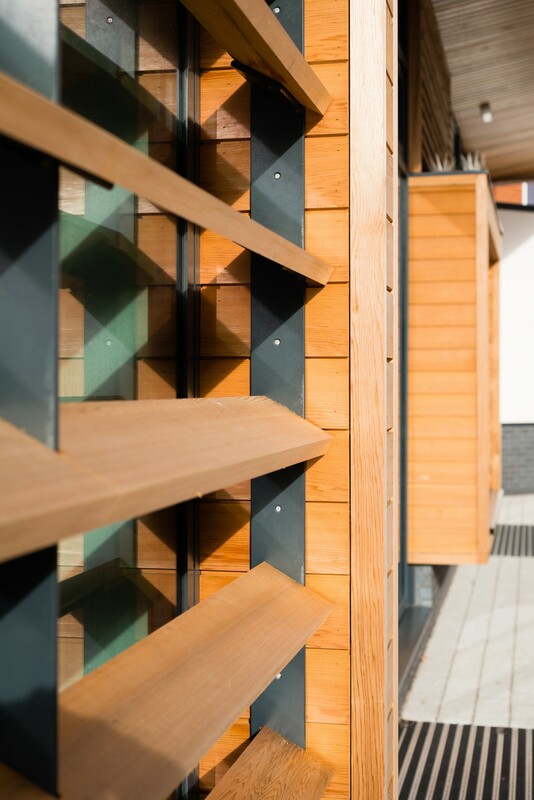 The green roof above the refectory provides a wide range of technical benefits; high levels of insulation; eliminating rain noise and providing serene grassland views for the first floor classrooms. 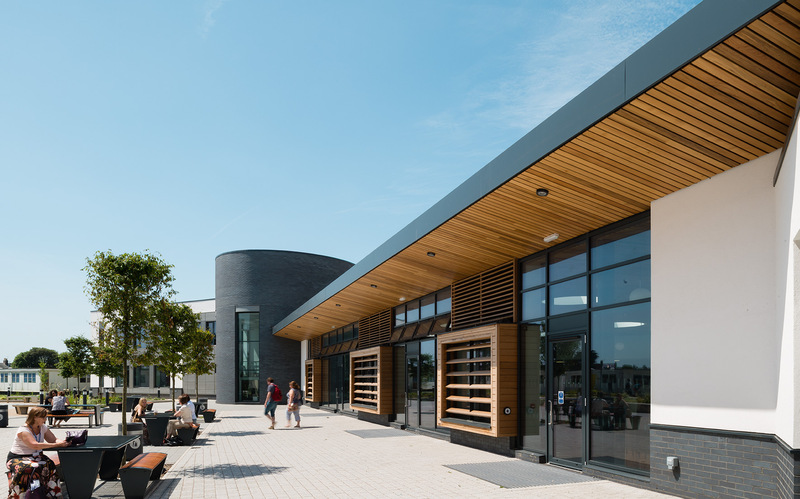 ECE worked in collaboration with a local metalwork fabricator to develop a bespoke zinc cladding cassette system for the new building – utilising local skills and materials reduced the carbon footprint of the project and providing excellent value for money for the college. 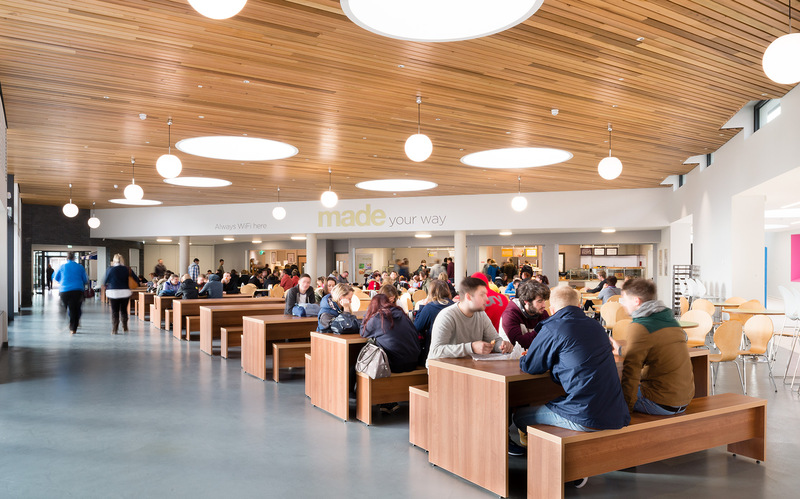 The aim of this second phase at Broadwater Road was to replace all remaining unsatisfactory accommodation with a 2 storey building, and provide a central focus to the campus with a new double height refectory. 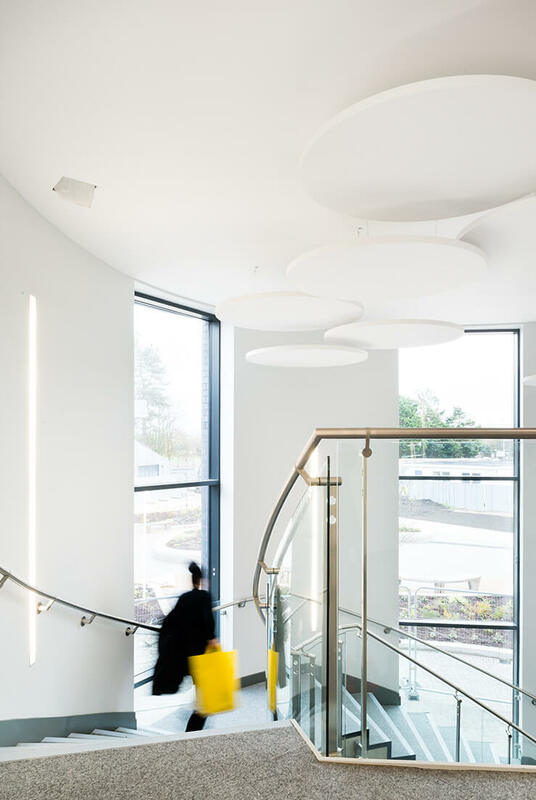 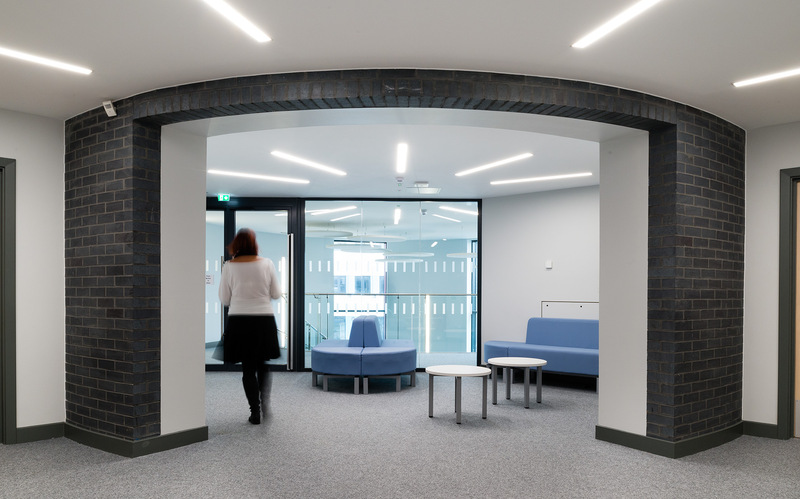 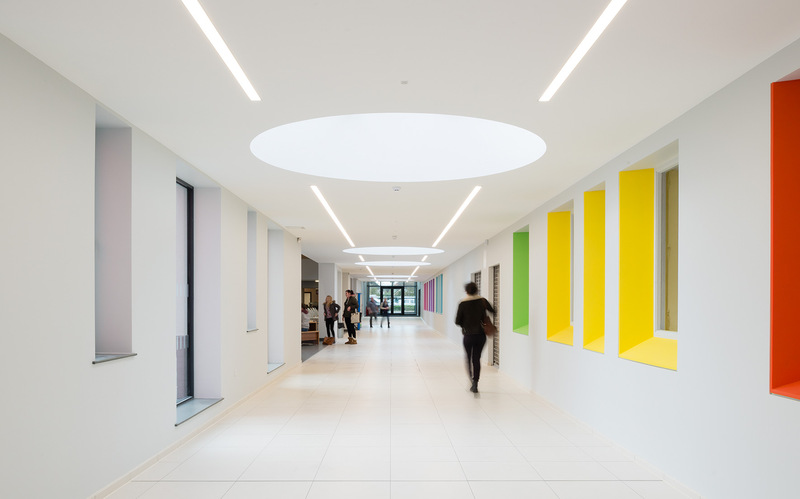 The building includes general teaching classrooms, exam suites, employment zone dedicated to providing careers advice, an LLDD facility for students with learning difficulties, including cookery and art studio, new staff accommodation and a new landscaped courtyard.